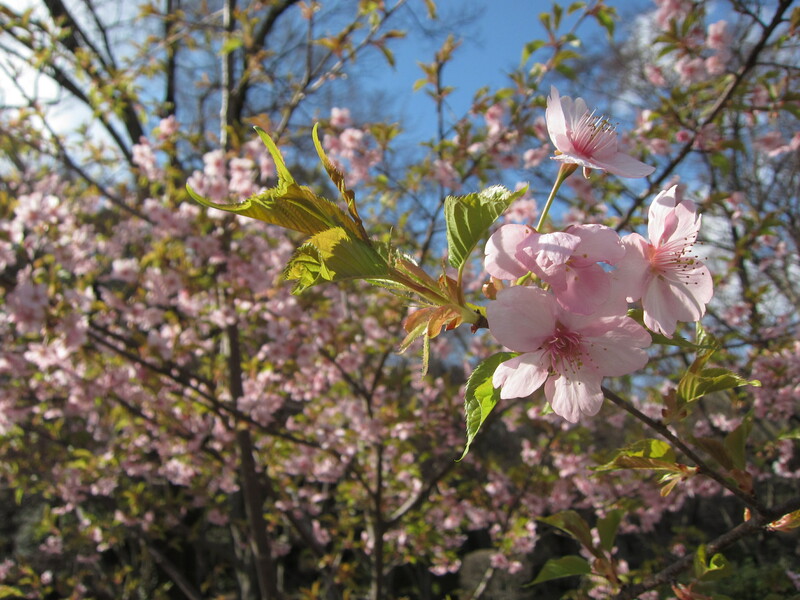 Although they are far from full bloom but right now, it is possible to view cherry blossoms at Kyoto Botanical Garden. For those who needs to go home before the full bloom (approximately in a week to ten days), this is the best bet to see the cherry blossoms. Related: For more information on viewing cherry blossoms in Kyoto, see “Cherry Blossoms in Kyoto Perfect Guide 2015“. The cherry blossoms in bloom here are called Kawazu Zakura. This specific cherry tree is named Kawazu because the original tree was found at a place called Kawazu in Shizuoka Prefecture. 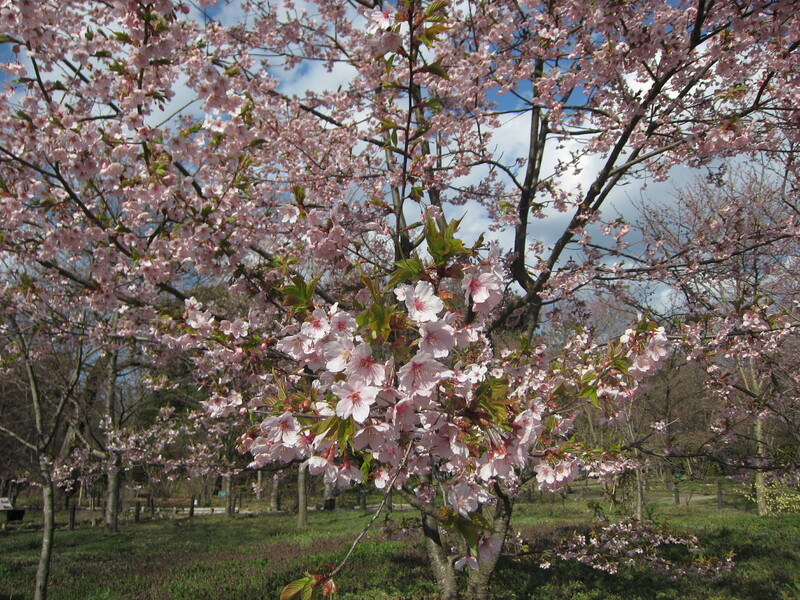 As can been seen from the picture, it is a stronger pink than normal Somei Yoshino, which is regarded as the standard cherry trees. Also, green leaves that can be found between the flowers makes it even brighter.